John Y Wright Company provides a full service residential and commercial electrical department. Fully equipped to perform sewer cleaning service, camera viewing and jetter service. Let us give you a free estimate or second opinion for your sewer related issues. Water heaters, water lines, leaking faucets, bathroom renovations. Ask us for a free estimate. Trusted by the manufacturers, we provide warranty service, repair, and installation. 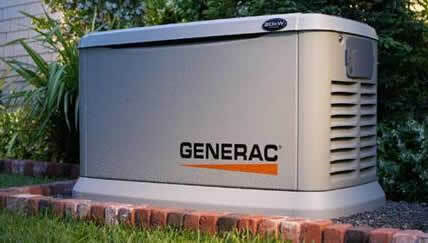 Looking for a generator. John Y Wright Company can provide you with a free estimate on a whole house, standby, or select circuit Generac™ generator that bests suits your needs. Let us install a standby power system to restore power to your home in the event of power loss from Hurricanes, Ice storms or brown outs. Installation of a new generator can save you hundreds of dollars from loss of food in refrigerators and freezers, keep you heating and cooling system running to keep your home comfortable, and provide hot water for showering and bathing. Call us today for a free estimate. Financing available with approved credit. John Y Wright Company provides a full service residential and commercial electrical department. Whether your home needs an upgrade from knob and tube wiring or you are renovating a kitchen or bathroom and need electrical service, we can provide the electrical services you require. Licensed in VA and NC call us for a free estimate for replacement or repair. We are your domestic water heating experts. Trusted by most manufacturers as an Authorized Factory installation, start up, warranty, service and repair contractor, we can provide the best solution for your domestic hot water needs. Solutions from residential tank and tankless water heater options, to commercial water heaters and storage tanks, let us customize an energy efficient solution that is best for you or your company. Sewer line backed up, roots in the line, call us today for an economical resolution. Fully equipped with the right machinery for the job, John Y Wright Company will quickly find the problem and provide the best resolution for the situation. Camera inspection services available. Sewer line replacement and repair. 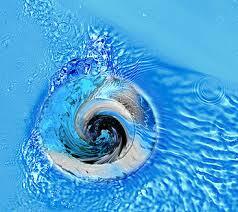 We can resolve even the toughest sewer line issues. Call today for a free estimate. Frozen water lines, low water pressure, leaking faucets and toilets, call us for your plumbing needs. Let John Y Wright Company resolve your plumbing issues today. Our expert service department will provide you with reliable and dependable plumbing service. Customer satisfaction is our goal. Give us the opportunity to work for you.